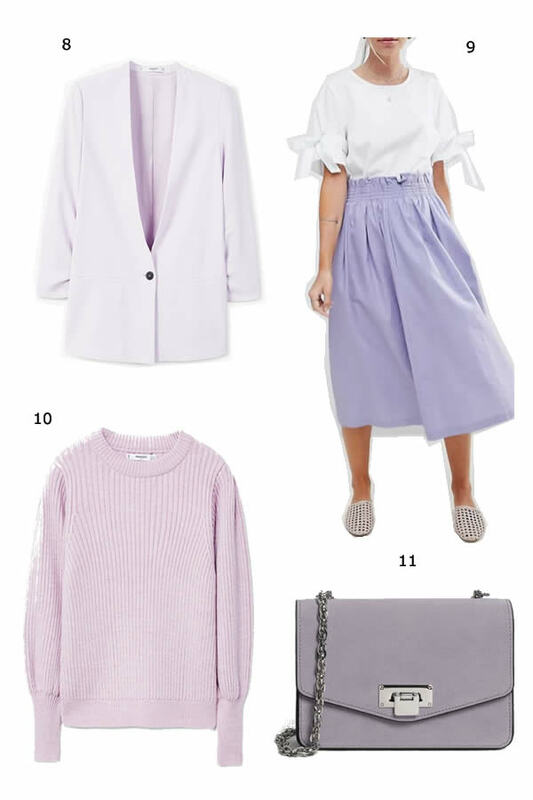 I´m pretty sure you have heard or read somewhere that Lilac is the color of 2018. 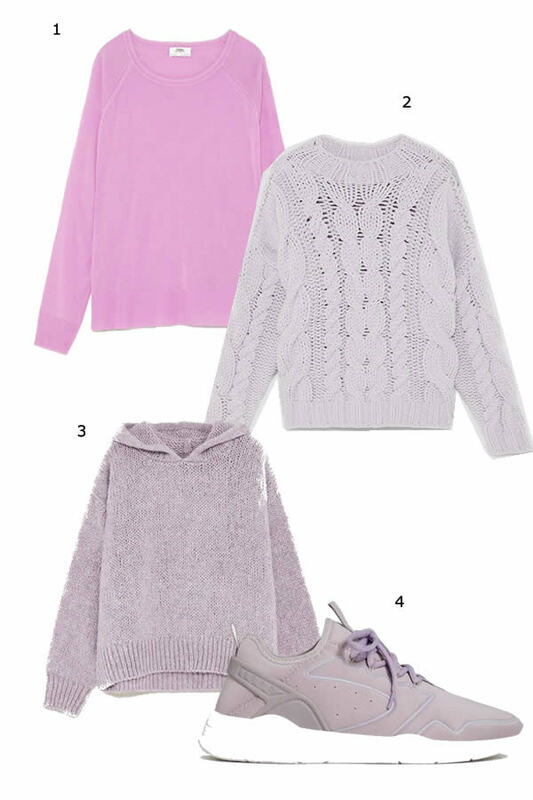 Personally I can’t say my wardrobe has a lot of pieces of this color, far from that, but since the year has started I already got two lilac pieces and I have a feeling it won’t be the last ones. I´m so into this color right now. I know looking and the trends, digital influencers street style looks, etc., really makes a difference in your mind set but lilac is a color that I found it goes almost with any other color. 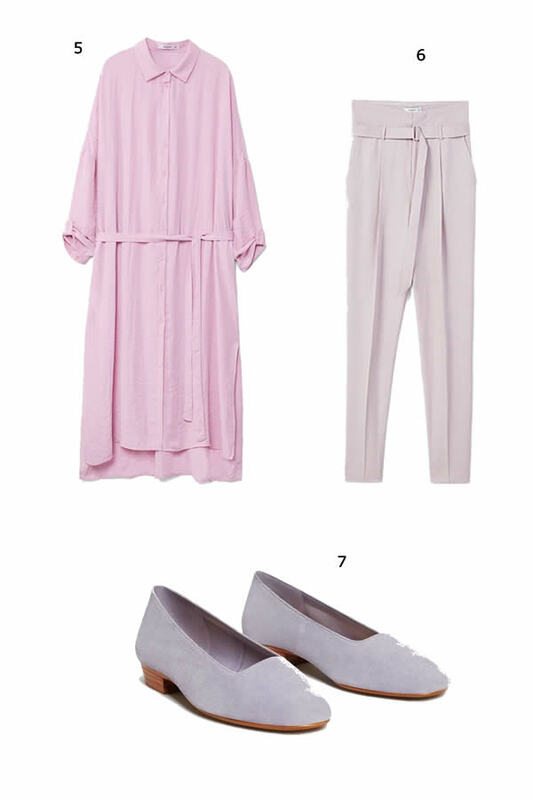 If you are already looking for some Lilac pieces to fill your closet, check these 20 picks all available online! Certamente já ouviste dizer ou já leste por aí que o Lilás é a cor eleita para 2018. Pessoalmente não posso dizer que é uma cor que abunda no meu closet, longe disso, mas o certo é que já comprei duas peças desta cor e não sei se ficarei por aqui. Estou mesmo fã deste tom. Claro que andar sempre a ver as tendências e as fotos de street style das outras bloggers ajudam-me a mudar o ship mas descobri realmente que o lilás é uma cor que combina com quase qualquer outra cor. Se por acaso andas à procura de peças nesta cor, escolhi 20 peças todas disponíveis online e super giras! Beautiful shades, perfect for springtime! I really love this color, so nice items darling! Like you I also love it to use oil for my skin but I have to admit that I didn't use Argan oil so far. After reading your article I see I must try it out :) Thanks for sharing! Amoooo lilás, mas confesso que não tenho nadinha dessa cor no guarda roupa haha por isso amei as sugestões, principalmente a jaqueta e o tênis! Gotta get into this then. I love the colour. The softness of it is very feminine romantic. Thanks for the picks. Que peças mais lindas! Adorei a jaqueta! Eu ando a adorar esta cor! Por acaso ando a pensar em investir assim nuns botins! Me encanta este color!! Una selección fantástica!! Los jerseys y las camisas ideales!! Adorei as escolhas, principalmente o 13, é lindo. Obrigada pela visita, estou te seguindo poderia retribuir ? I love lilac, I once had lilac hair and loved it.